This is a colourful, brighter edition of the classic Spot lift-the-flap board book Spot Bakes a Cake, which features rescans of Eric Hill's original artwork - perfect for toddlers and children learning to read. Spot plans a surprise for his dad's birthday. Lift the flaps in this lively picture book to see how he succeeds in making a very special cake. 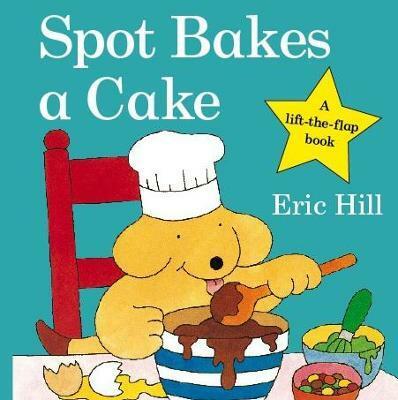 Eric Hill's Spot picture books have sold over 50 million copies worldwide since Spot first appeared in 1980.